This year, the big game day is going to look a bit different in our house. The finger foods of the past are going to be lightened up now that I’m on a healthy eating journey. What I love about this plan is that I can still enjoy all the foods I love, but I’m learning how to substitute and moderate. 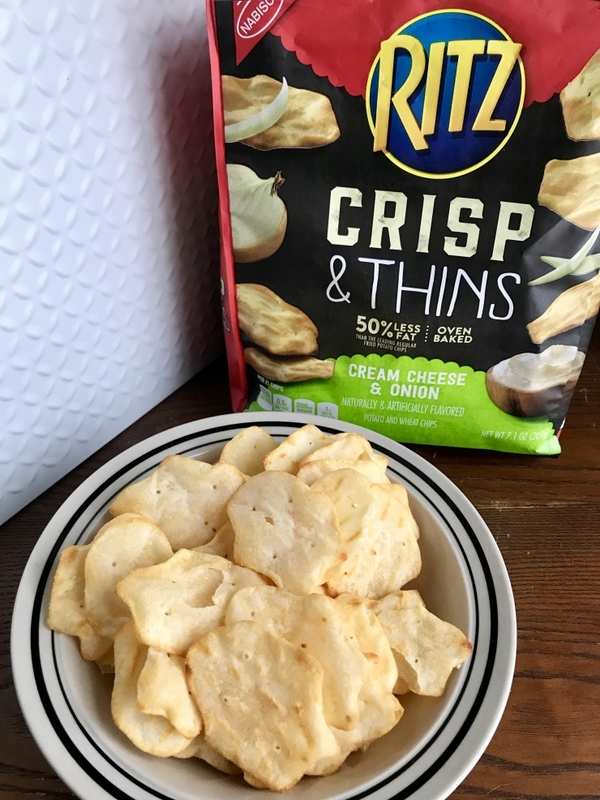 RITZ Crisp & Thins are the perfect fit. I chose RITZ Crisp & Thins Cream Cheese & Onion for our game day spread. These delicious snacks are a cross between cracker and chip. They’re oven baked so they fit my new lifestyle. I’ll be complementing them with a light sour cream and onion dip and I’ll also be serving healthified chicken wings, chili and baked egg rolls. Lately, Walmart has become my go-to. The store carries all of the items I need and more and I found all of the ingredients for my game day recipes, too. I love that I can shop for numerous items for our family without having to run from store to store. If you’re not using Ibotta you’re missing out! I have received $132.95 since I downloaded the app a few years ago. The savings add up! 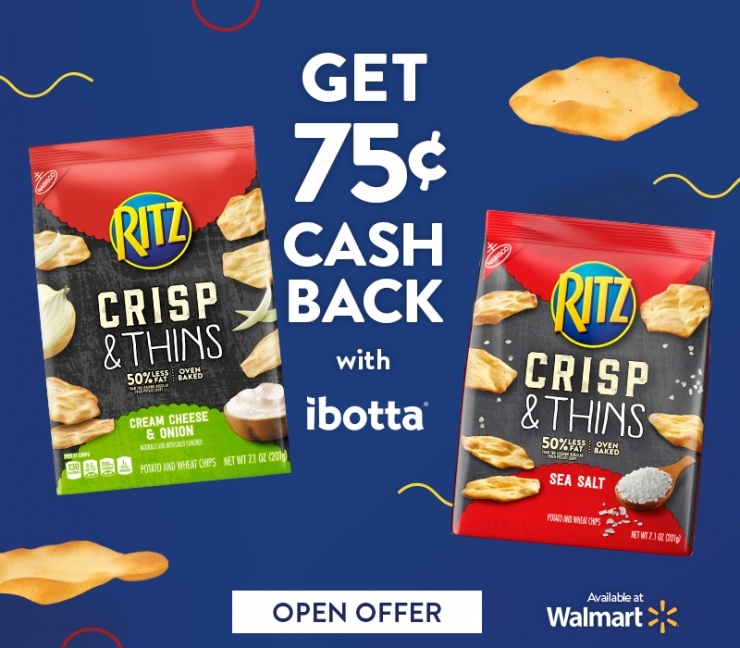 After my Walmart purchase of RITZ Crisp & Thins I received $.75 cash back from Ibotta and you can too! Enter to win one of six (6) $50 Walmart Gift Cards & one (1) $200 Walmart Gift Card (Grand Prize). Well this is my first time to hear about Ibotta and would love to try it. Too bad that I am missing out a lot. That’s an huge amount of savings. Thank you for sharing this. I am such a snacker! These are so good, We got them a few weeks ago! So yummy! I love these crackers because they are so light! Perfect for dipping for the Super Bowl. Those Crisp & Thins look really delicious. I don’t eat crackers often, but I think I would try these. Yum! 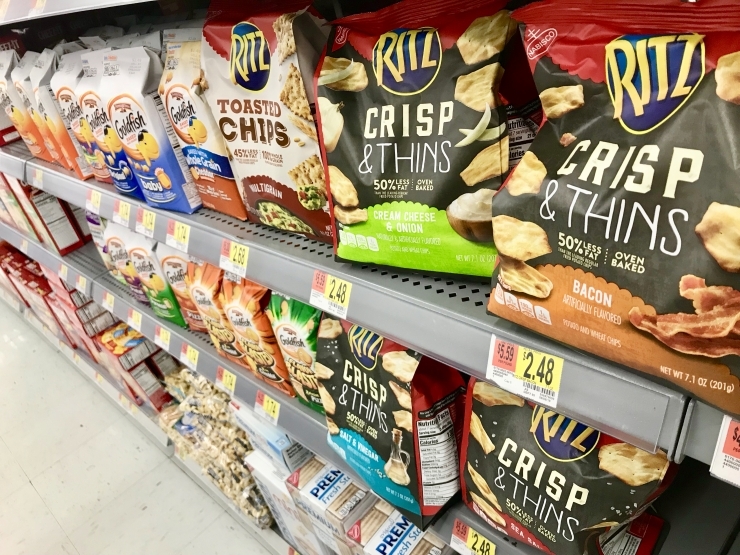 I am a RITZ addict but have yet to try the Crisp & Thins. All of the flavor options sound delicious!